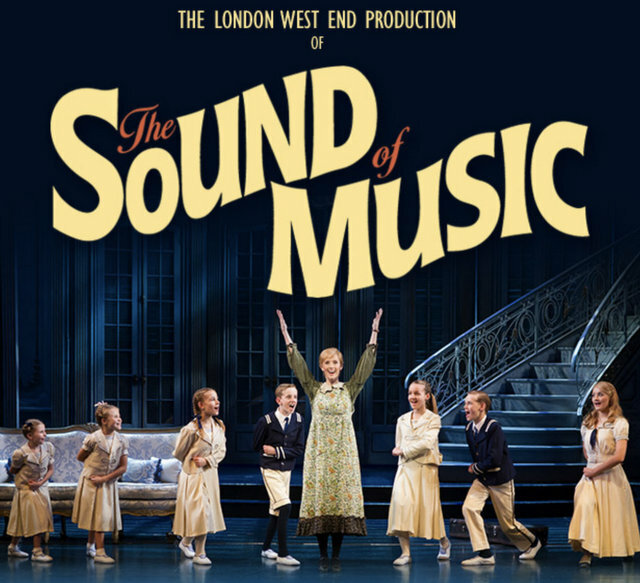 “With songs they have sung for a thousand years.” Without much stretch of imagination, the musical The Sound Of Music will play and play, for another thousand years. This musical of musicals is from Rodgers & Hammerstein, arguably the greatest of musical theatre’s songwriting team. Since the 1940s the pair have produced the most successes of Broadway hits – Oklahoma, Carousel, South Pacific, The King & I, Flower Drum Song. Long before Andrew Lloyd Webber & Tim Rice made Jesus Christ a superstar, this duo have had audiences whistling a happy tune, washing men right out of women’s heads, climbing every mountain. There is no subject R&H cannot surmount and put to music. Here, in The Sound Of Music, is a triple whammy of nuns, nazis, and a nanny. Add seven children to the mixture, and it’s a winner of a keeper in the soundtrack of anyone’s life. Straight up from opening number, to closing, every song hits its mark, each hit song is as close to a set piece as you can get. I can’t think of another musical score where every number – from the nanny, the nazi, the nun, the captain, the kids, – hits its stride while it nudges the story along. The true story – with some embellishment in the musical re-telling – of the Von Trapp family and their escape from Nazi-occupied Austria…….if you can sing about it, you’ve won.